Teaching children about the world around them is one of the primary goals of early childhood learning. An excellent way to do so is to provide lessons around the wide variety of winter holidays, many of which celebrate light in one form or another, from the lengthening daylight to the birth or accomplishment of a deity. Here are several holidays celebrated in various parts of the world that have become part of the American fabric along with ways to celebrate and learn. Dates vary from September to November annually. What is it? Based on the lunar Hindu calendar, Diwali is one of several world-wide celebrations of light. Hindus celebrate Diwali by lighting candles, often in clay pots, to signify the triumph of good over evil when Lord Rama vanquishes the evil demon king, Ravana. How to celebrate… Invite parents or other adults who are Hindu to help the children understand what the holiday means to them. Activity: Make salt dough candle holders. Mix together water, flour, and salt in a ratio of 1:2:2 (1 cup water, 2 cups flour, and 2 cups salt) to make a dough. Shape into a small bowl using your thumbs to press in the hollow. You can press sequins into the dough around the rim and bake at 250 degrees F for three hours. Once cool you can use glitter glue and paint for more pizazz. What is it? St. Nicholas Day is celebrated in Europe to honor the original “Santa Claus,” who may have been born in Lycia in Asia Minor. One tradition holds that if children put shoes outside their doors, St. Nicholas will leave little treats in them overnight if they have been good throughout the previous year. How to celebrate… Compare placing shoes outside the door to hanging stockings by the fireplace on Christmas Eve. Talk about how traditions often grow from different practices. What is it? Known as the Festival of Lights, Hanukkah is a Jewish holiday celebrating the Maccabbee’s fight to return to Jerusalem and rebuild their temple. A Menorah, which was an oil lamp, only had enough oil to burn for one day but miraculously continued to burn for eight days, thereby setting the tradition of lighting one additional Menorah candle each day of the celebration. How to celebrate… Play dreidel, a traditional Hanukah game of spinning a multi-sided top. Give each child the same number of small toys. Children take turns spinning the dreidel. Depending on which letter lands upright, the player must take none, half, or all of the toys, or they must put back everything they have won. Activity: Make dreidls out of small milk cartons or other small boxes. Cut the boxes so the last two inches at the bottom remain. Paint the carton blue and label each side with one letter - N (nothing), G (all), H (half), or S (put). Poke a hole in the bottom of the carton and put a pencil through it to make a spinning top. What is it? Las Posadas is celebrated in Mexico and Central America in a nine-day festival. Las Posadas means lodging or accommodation, and the holiday refers to the story of the inn where Mary and Joseph ended their journey to Bethlehem. How to celebrate… Ask parents who celebrate this holiday to speak with your class about its meaning. 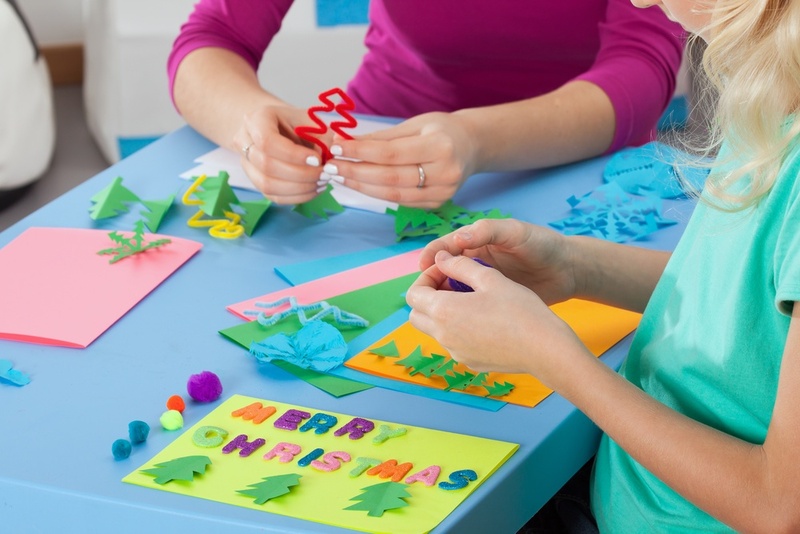 Activity: Create poinsettias with handprints on construction paper. Glue the paper together to make a nine-leafed plant. What is it? Most of the children know Christmas is coming, but they may not know it is considered by the Christian faith as the day Jesus was born. How to celebrate…A very traditional way to celebrate is to set up a nativity scene. Place the three kings at a distance and advance them each day to symbolize their travels guided by the star. Activity: Create advent candles out of clay and plan a good deed to do each day of December. What is it? Kwanzaa is a Swahili word meaning “first fruits.” The holiday began in 1966 to encourage people of African descent to celebrate their heritage. People celebrate by lighting seven candles, one for each day of the festival. Each candle represents a principle: unity, self-determination, collective work and responsibility, cooperative economics, purpose, creativity, and faith. How to celebrate… Color pictures of the seven candles while talking about each principle and how each child might embody that principle. Activity: Weave a mkeka mat from overlapping strips of red, green, yellow, and black construction paper to form a rectangle. Laminate it and use it for a holiday meal placemat. What is it? This is a Buddhist observance of the “enlightenment” of Buddha, who sat under a pipal tree to contemplate life, pain, and suffering. On the eighth day, he realized all suffering stemmed from ignorance. Bodhi Day is the birth of Buddhism. The date is set according to when December 8 falls on the Buddhist calendar. How to celebrate… Many Buddhist families celebrate by hanging multicolored strings of lights that are turned on each day for 30 days starting with December 8 on the Buddhist calendar. If you hang Christmas lights, leave them up for Bodhi Day. Activity: Create a ficus tree from colored construction paper and decorate it with three colored flame cutouts, one each for the Buddha, the Dharma, and the Sangha. Dates vary annually. It will move into the winter months in 2028. What is it? Muslims celebrate the month, called Ramadan, in which the prophet Mohammed received the Koran (Quran), the Muslim Holy Book, by fasting between sunrise and sunset and praying to Allah during the 30 days of Ramadan. The end of the fast is called Eid-ul-Fitr and begins at sundown the first day of the holiday. During the holiday, Muslims give gifts and donate to charities. How to celebrate…Invite Muslim parents or someone from a local mosque to talk about the holiday, emphasizing the meaning of the daily fast. Activity: As a class, select a charity and create a charity jar. Encourage the children to save coins or bills for one month and, on Eid-ul-Fitr, donate the money to the charity. Select a few of these holidays that resonate with you and your students to enliven the winter days and continue the fun after the Christmas break. Holidays are typically happy times and are excellent gateways to lessons about other cultures. 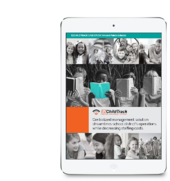 Keep track of the holidays with automated notifications from your childcare management software solution. Send invitations to parents via email and share images and stories of the children celebrating each holiday on the Parent Portal.